Back in August we went to Chick-Fil-A's family night that they have each month. The kids love it and they like the food, so why not? 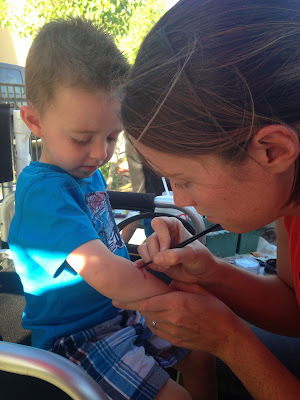 They had a face painter there again and the kids each got their face (or arm) painted. 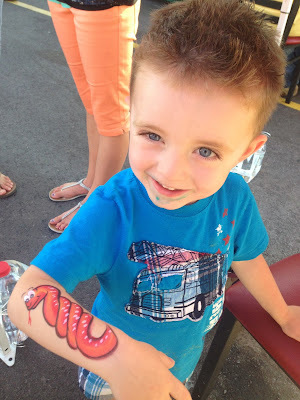 Carson decided he wanted a snake, which he thought was AWESOME. 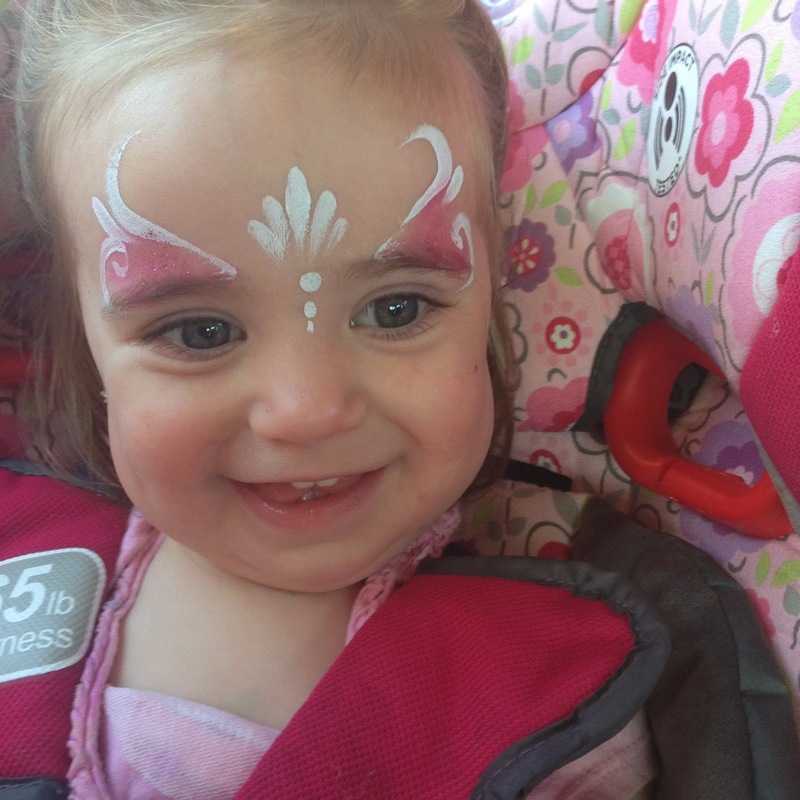 Brooklyn did a great job getting her face painted too. She looked adorable. 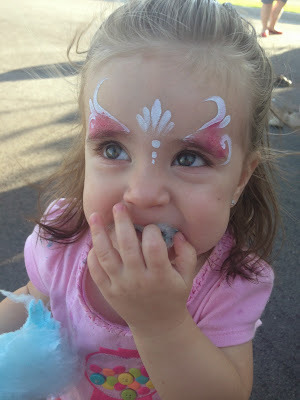 The cotton candy and the bounce house were also a huge it with the kids. Carson talked to the cow about 50 times and Brooklyn ate enough cotton candy for all of us. I love that they have events like this that are free for the family. They are always so much fun!